Scouting movement is one of the most popular in the USA, it has got its own holidays and one of them falls on March 12. This is Girls Scout Birthday that is celebrated annually by all Girl Scouts across the nation. 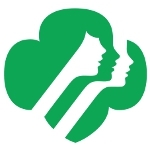 March 12, 1912 is the day when Juliette Gordon Low officially registered the first Girl Scouts organization. The organization consisted only of 18 members, but today there are over 3,5 million Girl Scouts across nation. Most of them are girls, but about 800,000 adults work mainly as volunteers. Girl Scout of the United States of America is a member of the World Association of Girl Guiders and Girl Scouts. This organization includes more than 10 million adults and girls in 145 countries. Girl Scout movement aims to teach girls such values, as fairness, honesty, courage, character, compassion, confidence and sisterhood through activities that are mostly held outdoors, including camping and community service. Girls learn first aid, earn badges by acquiring practical skills and often involved in charity work.